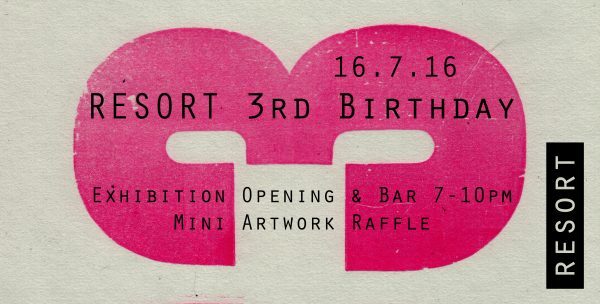 To celebrate our 3rd Birthday we will be holding an exhibition of Members work and fundraising with a Mini Artwork Raffle to be drawn on the evening. Raffle tickets are available to buy from Resort or any of our Members. Tickets £5 for 5. We’d love to see you there! Free entry, all are welcome. After Party at Margate Arts Club with Kit Records, 10pm ’til late.